Welcome to our new Hostel! Visit Us at Blk 52, Chin Swee Road, #02-33, S160052. ServiceWorld Hostel Chinatown, Singapore. Call Us Today: 6226 3886. Stay in this newly renovated cool hostel! In the heart of Chinatown. The ServiceWorld Group is privileged to manage the Yip Cheong Fun Heritage Gallery Restaurant. Besides maintaining high standards of food quality and service, the Group hopes to promote photography and enhance awareness of the role of photography as an art form and a scientific tool to depict and record the changes in our cultural and social environment. The bold new programmes and activities of the Yip Cheong Fun Heritage Gallery Restaurant will be hinged on the legacy of the thousands of vintage photographs for viewing at the Gallery and Restaurant. If you are interested in photography or in possession of a camera of any description, visit the Restaurant to participate in the programmes and activities, to gain a new insight of life and thus be empowered to use the camera for a social and cultural purpose. Highly qualified local and international chef & experienced staff at your service. The kitchen is modern & well equipped. Besides curry dishes, the restaurant also offers Western Food & Local Delights. Free WiFi available for our customers. 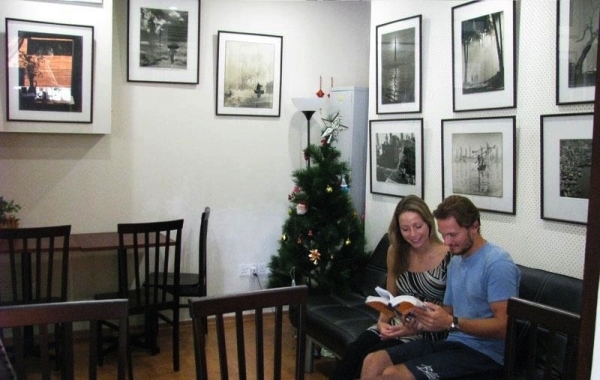 The Yip Cheong Fun Heritage Gallery will now have a permanent home for display & sale of both vintage & reprints photographs of the Master Photographer, as well as books & souvenirs. Other sales at the museum & galleries remain available. Click here to read more.